I’m so thrilled you’re here scoping out my sacred little space on the inter webs. I’m Erin Black. I was born under a full moon on November 20th 1983 in the sleepy coastal town of Denmark in Western Australia. Growing up, I always felt an overwhelming urge to want to create peace and connection and spread love and compassion, I just wasn’t sure in what capacity. 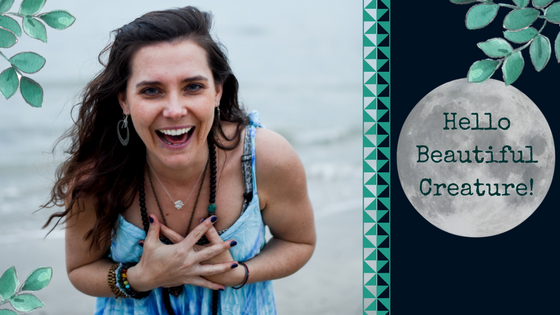 Falling pregnant in 2012 saw my life catapulted on a whole new trajectory… I found myself inhaling any and all information I could find on pregnancy, birth, breast feeding, parenthood, women’s mysteries and the sacred feminine. When I gave birth to my first wildling in 2013 I quickly realised just how vitally important it is to not only nurture your child, but to nurture yourself. Finding my tribe of women to journey alongside, share experiences with and support and love one another was an essential piece in the puzzle of my adventure… I feel so blessed to have these women in my life as we continue to grow and learn together. I feel very fortunate to be able to combine my passion for pregnancy, birth and motherhood with my desire to care and nurture others. I am able to support women and their families on their individual journeys – whether that’s through my doula, childbirth education and placenta work or through bringing women together to weave a web of celebration and support.